When Frank Lloyd Wright was young and still struggling, he designed a house in a style which he found "repugnant." To make matters worse, he did not build it once, but twice: First in 1895, and again in 1923 after a fire destroyed the upper floor. Both times, he gave the house decorative half-timbering, a steeply pitched roof, intersecting gables, complex medieval chimneys and other ornamental frippery. The house was for his friend Nathan G. Moore, who lived near the Wrights in Chicago's Oak Park neighborhood. Mr. Moore wanted to hire the young architect who was already attracting attention. But Mr. Moore did not want his own home to be too controversial. "We don't want you giving us anything like that house you did for Winslow," Moore told Wright. "I don't fancy sneaking down back streets to my morning train just to avoid being laughed at." 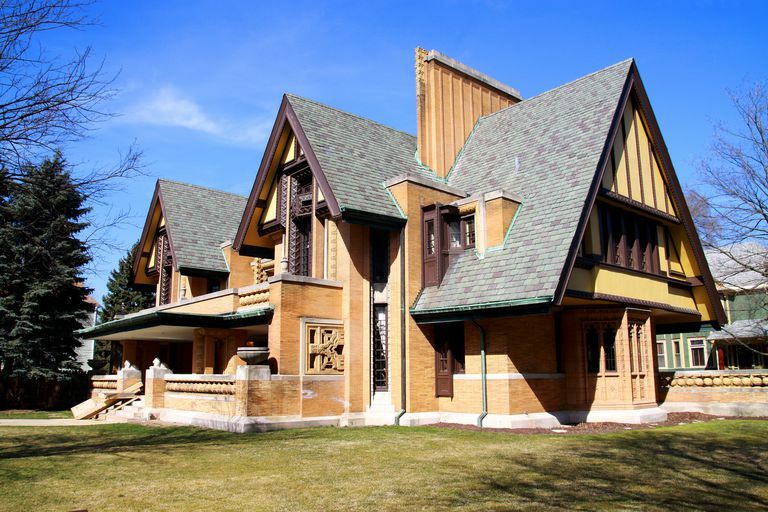 Frank Lloyd Wright despised the "stale" and "backward looking" ideas of designers who imitated historic styles. He thought that architects should create a vibrant, new American landscape, free from restrictions of the past. He was only in his twenties when he designed the long, low Winslow House. The house is considered by many to be an early form of Wright's revolutionary Prairie style architecture. Wright created a stir when he designed the Winslow House. The design was praised by some, scorned by others. The young architect was pleased with it, but his friend, Nathan G. Moore, insisted that he did not want his own home to create such a stir. Wright needed money. He had a family to support. He agreed to build Mr. Moore a conventional house in a trendy style that was becoming popular in America's suburban neighborhoods: English Tudor. This was not the first time Wright yielded to the whims of his clients. When he worked for the office of Louis Sullivan, Wright secretly designed quiet little pre-1900 Queen Anne style houses for his friends. But the Nathan G. Moore house was a public affair. It carried Wright's name, and to his dismay, it became just as famous as the more adventuresome Winslow house. "The physician can bury his mistakes, but the architect can only advise his clients to plant vines." The Moore House we see today is actually a remake of Wright's original plan. Wright was no longer a struggling young architect when he designed the second version, and yet many of the Tudor elements remain. In both designs, Wright combined historical conventions with innovations and unusual, sometimes exotic, details. In his first version, Wright lavished the Nathan G. Moore House with "Elizabethan" details. The house was three-stories high. On the upper gables, half-timbering formed intricate patterns. Inside the home, dark paneling and eight fireplaces gave rooms the atmosphere of a British men's club. Long rows of diamond-paned windows offered scenic views of surrounding gardens. Ornamental balustrades formed the garden walls. But the Moore House was not a slavish exercise in historical recreation. "It was the first time," Wright recalled, "an English half-timbered house ever saw a porch." In 1922, an electrical fire destroyed the entire top half of the house. Wright, now old enough to know better, had a chance to rethink his design. But although he was more restrained in his use of half-timbering, he retained the Tudor flavor. He eliminated the third story, but he made the pitch of the roof even steeper. The decorative balustrades remained and the new house was given an exotic array of ornamental details. Frank Lloyd Wright's new version of the Moore House proved to be as intricately detailed as the one that had been destroyed by fire. The central bay window has cusped arches and Gothic design. Terra-cotta and woodcarving with Sullivanesque details form decorative vertical bands. Exotic patterns on the brick walls suggest some of Wright's California and Japanese works. Years later, in his autobiography, Wright explained that he viewed the Moore house as an intriguing challenge. He wanted to see what new innovations he could bring to an historic style. But, although he never openly disowned his creation, he appeared to view it as a faux pas. This was a building he would cross the street or even go around the block to avoid seeing. 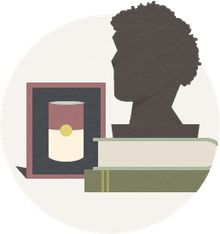 Our main index of Frank Lloyd Wright resources has biographies, famous quotes, photographs and an extensive catalog of existing Frank Lloyd Wright buildings—hundreds of them. Author Carla Lind looks at Wright buildings which no longer stand. See the chapter on the Moore House for an excellent black and white photo of Wright's original design, before the fire. The quotes used in this article are taken from this entertaining biography by Brendan Gill.